Enjoy $50 Off Any Service This Holiday Season! Ho! Ho! Ho! It’s the holiday season…celebrate it with a clean home! 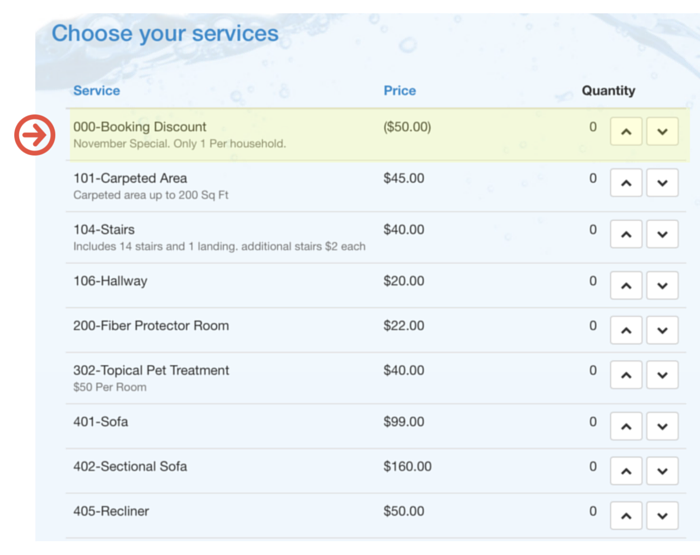 Until December 31st, you can enjoy a $50 discount on any of our carpet cleaning services. Just call 405-606-7030 & mention promo code “Email50″ or book your service online using the instructions below. Phone: Call 405-606-7030 to book your service & mention promo code “Email50” for the exclusive discount. Online: Click here to book online and add the “booking discount” service for the savings. Reference the screenshot below for details. Details: $99 minimum booking fee applies. Offer expires December 31, 2015.